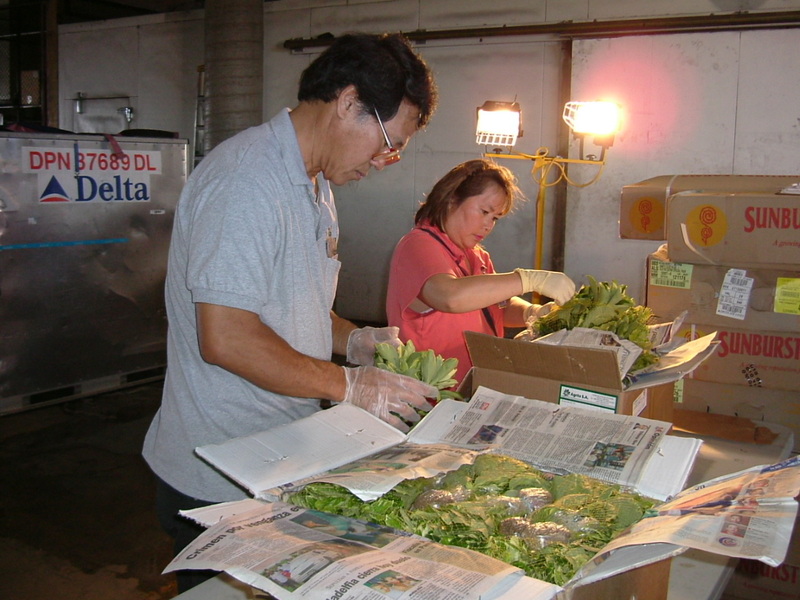 The following photos show how Plant Quarantine inspectors conduct “risk assessments” which require teams of inspectors to do more extensive inspections during a set period to determine what commodities and pathways are of higher risk of bringing in invasive pests and diseases into the Hawaii. 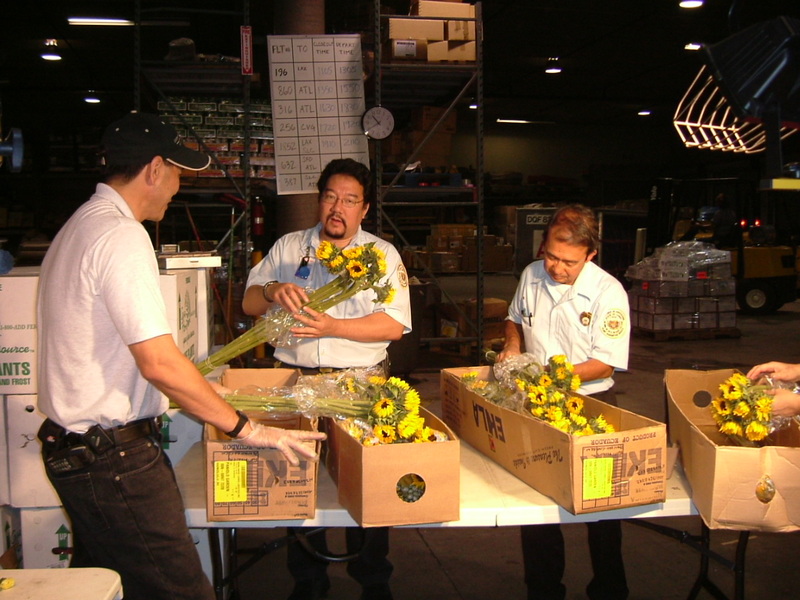 Each box of arriving cut plants are inspected for pests and disease during risk assessments. 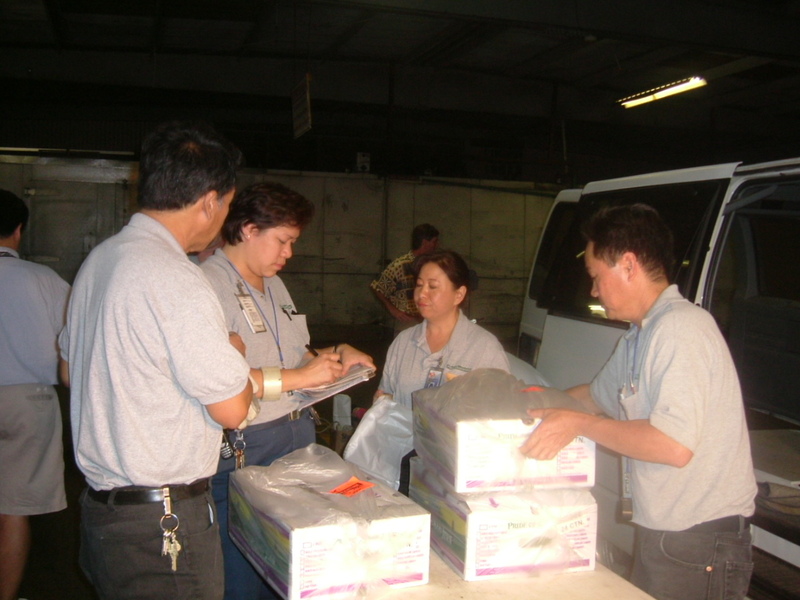 Shipments of all live seafood must be accompanied by an import permit issued by the Plant Quarantine Branch. 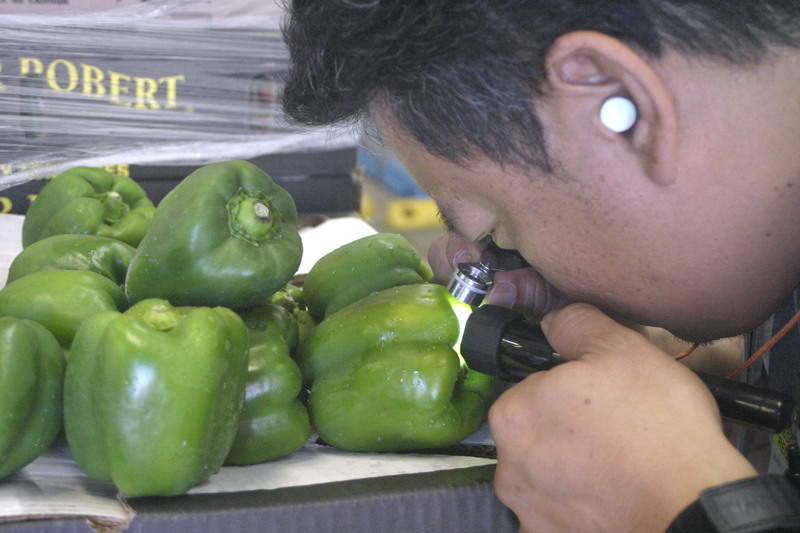 Inspections sometimes require magnifying and lighting equipment. 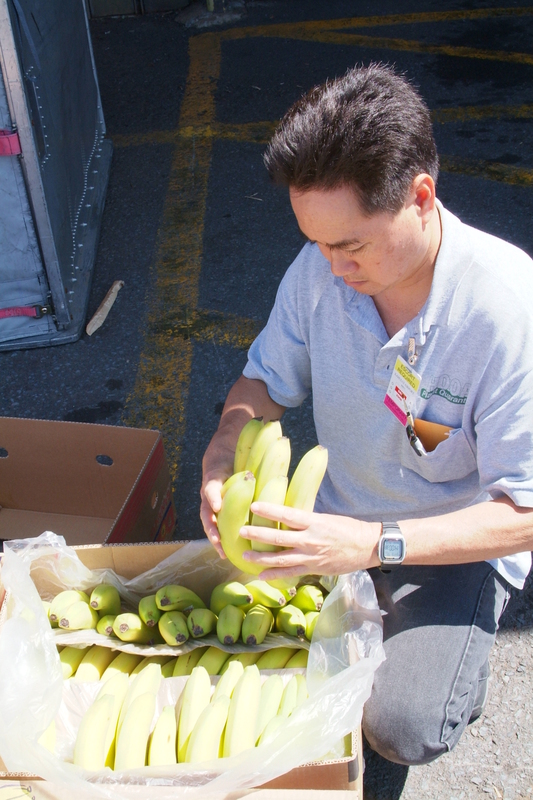 Inspectors not only look for insect pests, but also plant diseases. 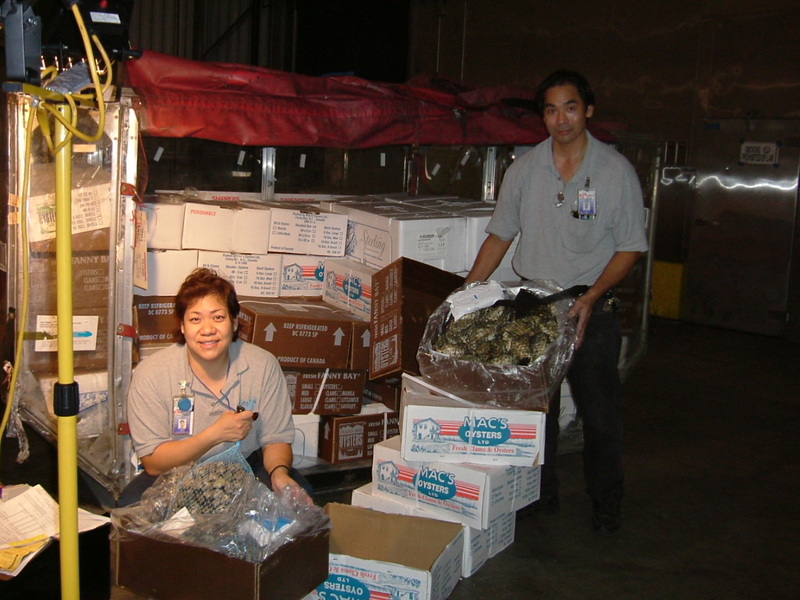 Infested or infected material is bagged and placed in quarantine to be either destroyed or returned to the shipper.